Invented by Charles P. Strite of the Horton Company based in Minneapolis, Minnesota, the device was designed to allow the press motor to come up to speed without any load and then engage the press at a speed regulated by a system of counterbalanced clutch pads and a friction brake much like a car's drum brake. We're anxious to see it work! 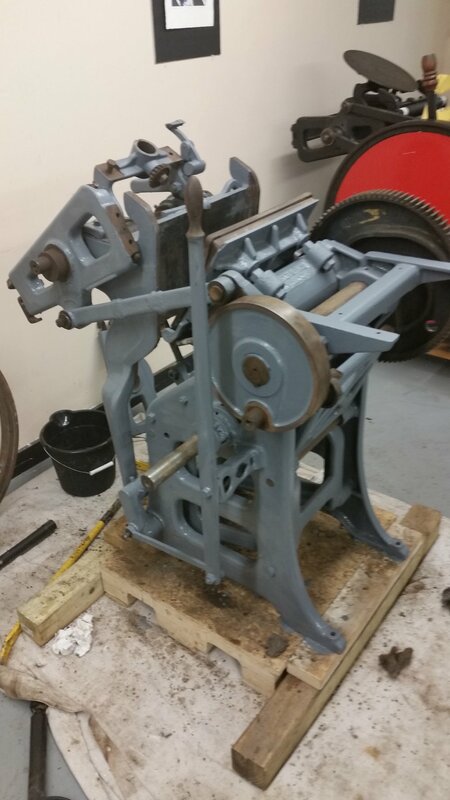 The press frame is now painted. 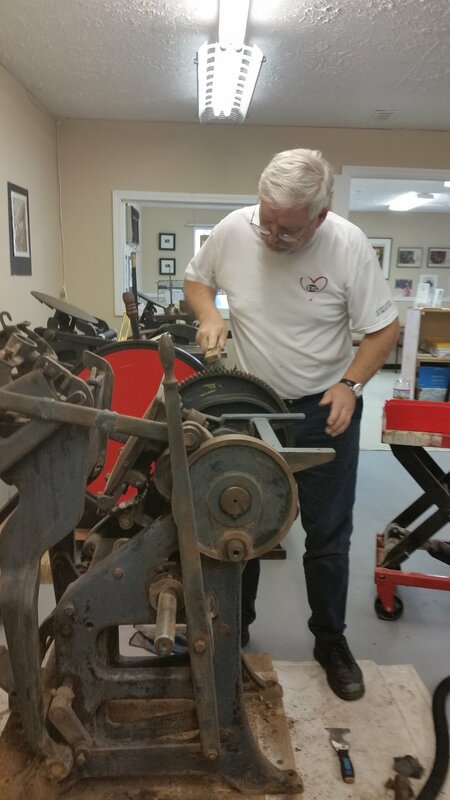 We chose battleship grey to match the original color of the press. Next step is to reassemble the press! Newer PostMissing part found on Ebay!